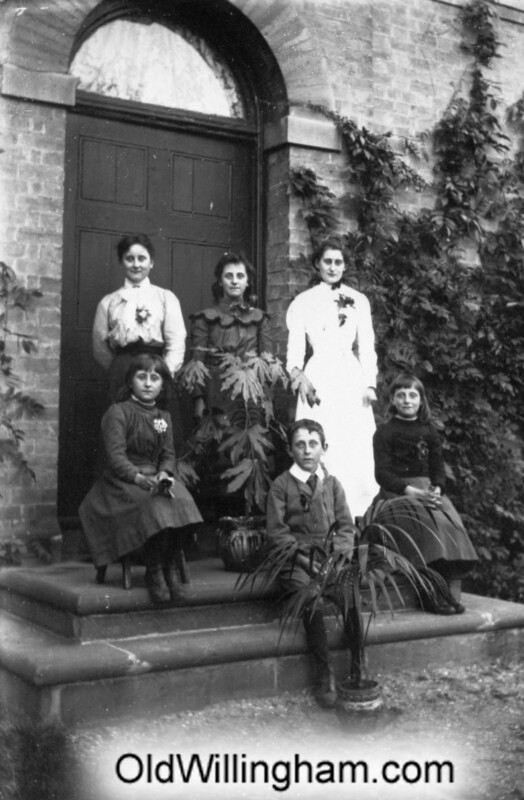 This family, carefully posed among potted plants, are on the steps of Regent’s Court on Green Street. This very large house is still there but has been converted to flats and this front door is now a window – although the arch shape can still be seen. We believe these are the children of Paul Poulter, a farmer, and his wife Annie who lived in the house from about 1901 until he died in 1925. The names of his children were Lavinia, Olive, Smith (boy), Ruby, Annie and Beatrice. Smith Poulter was born in 1889 so it would suggest this picture was taken shortly after they moved in – no doubt proud to have bought this mansion. As with so many young men of the time however, Smith Poulter later died in WW1 at the Somme on 1st July 1916.